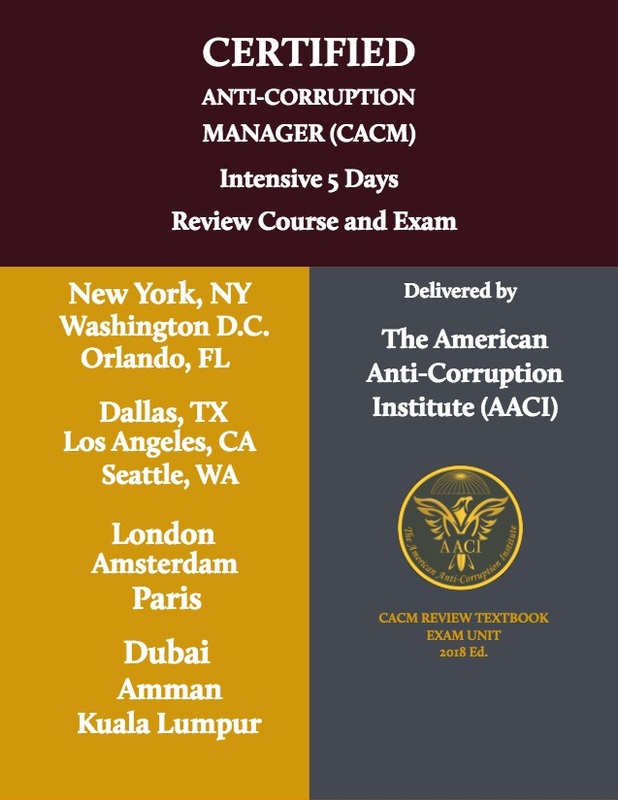 It is an instructor-led intensive 5 days review course designed to help Certified Anti-Corruption Manager (CACM) candidates prepare and pass the exam. When The AACI delivers the review course, quality is assured. CACM candidates attending the review course will practice solving real-time questions and sit for the CACM exam on the 5th day of the course. Click here to read the detailed agenda. You will find all details relevant to the following program parameters on the official blog.